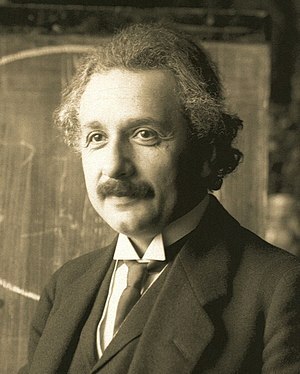 Albert Einstein published his thesis on Special Relativity in 1905, now over a hundred years ago, and his General Theory in 1916, but he did not limit his opinions to physics entertaining economics and what may be broadly described as “spirituality”. Now it seems the Egyptian Revolution has entered a second phase. This past week I have been caught up with event happening elsewhere. There was the earthquake in Christchurch and the continuing political earthquake in the Middle East and North Africa. Time passes quickly with such occupations. I hope to see on Facebook that my sister’s grand daughter and her family have successfully and have arrived safely in Nelson by air. If so they will be part of the exodus of people leaving the city after the earthquake. Muammar Gaddafi is blaming bin Laden, the young and drugs for the recent events in Libya in an address over the State television broadcaster. (Apparently the speech was made by phone – can you believe it. I did not understand what I was watching). The judge has given his ruling that Julian Assange should be extradited to Sweden to face sexual assault allegations. George Monbiot suggests that software is now been used to overtake online forums. This software can be used to imitate people while presenting corporate and bureaucratic interests. The dictator of Libya, Muammar Gaddafi, is now as good as gone, although in a vain attempt to retain power, but not legitimacy, the massacre of people may continue. The problem will be then to form a new government, albeit an transitional arrangement. The mainstream media have ignored the torture of David Hicks. Believe it or not some people are proposing ignoring the evidence on climate change. Running a world-wide empire is not easy. This is especially so, in the wake and the continued determination of the Egyptians as witnessed on Friday to hold to a democratic future. The multitudes have regathered this Friday on Cairo’s Tahrir Square reminding those who still hold the levers of power that the people have risen, and remembering those that fell for the cause. I am as much of a materialist and drawn to technological gadgets as anybody. Yet I have to note I do miss my camera. In Bahrain, Yemen,and Libya rulers have unleashed violence on their own subjects. Have you noticed how those with the South in their description are always the good guys? If the Neilsen Poll is to be believed then according to Anthony Green the Coalition will win 73 seats and the others 20 seats of which 14 will be held by the ALP. The poll is released today by The Sydney Morning Herald. The demonstration effect of the Egyptian Revolution is spreading across the Arab world and significantly to Iran.